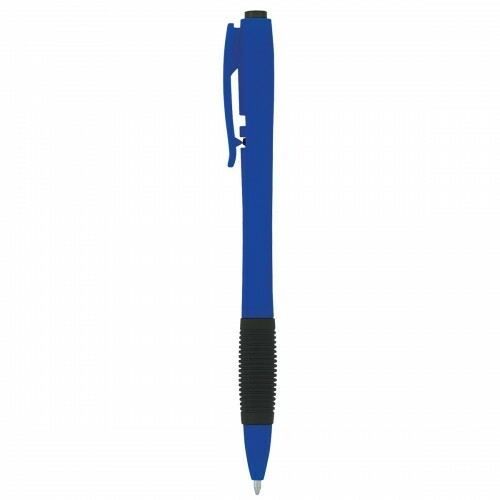 Make promoting your business a snap with a custom imprinted pen featuring your company name or logo! 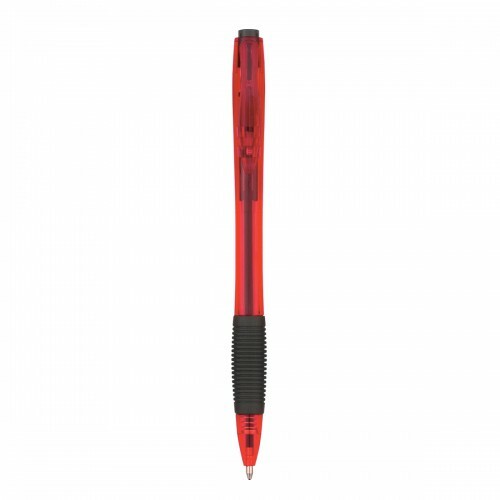 The Snap personalized ballpoint pen has a retractable clip release and rubber grip for writing comfort and control, with refillable medium point black ink. 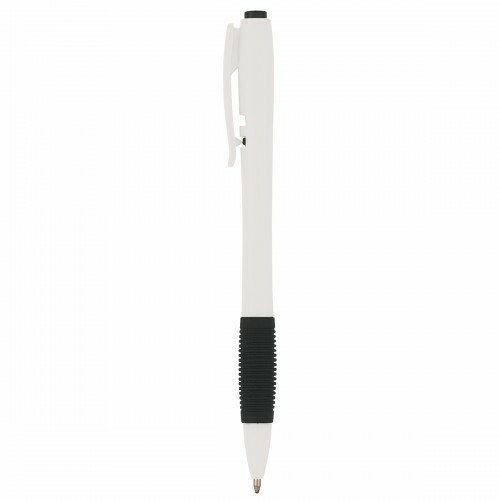 This sleek looking custom pen comes in your choice of a white, colored or translucent barrel. The White Barrel has a Red, Black or Royal Blue rubber grip and matching trim; while the solid colored barrels come in Blue, Orange, Green or Black with a black rubber grip and trim. The translucent pens come with a Blue, Green, Purple, Red, Orange or Light Blue Barrel, each with a black rubber grip and trim. 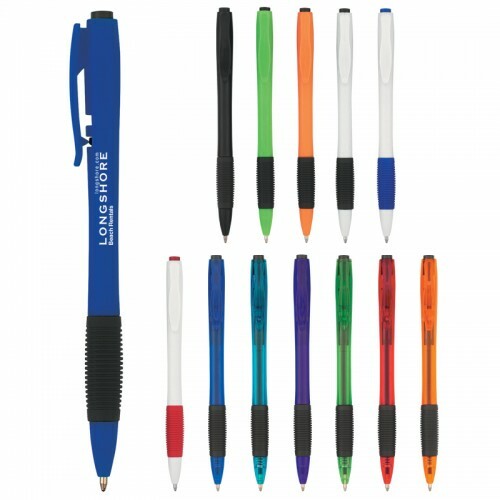 Customizable pens are a popular and economical way to promote your company or event. Ideal for tradeshows, year round promotions and customer giveaways, promotional pens are appreciated by everyone. 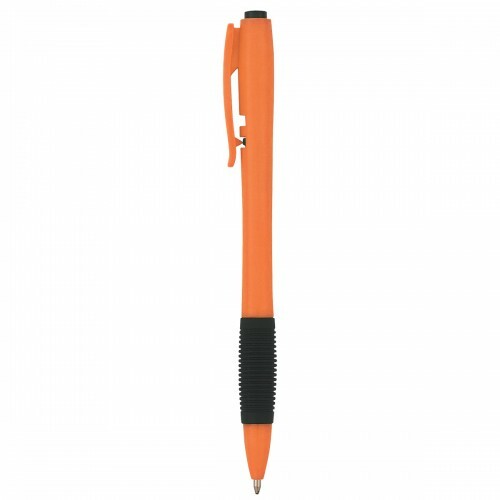 A one color, one location imprint is included in the price. Blue, Orange, Green or Black Barrel, all with Black Trim and rubber grip. White Barrel with Red, Black or Royal Blue Trim and rubber grip. 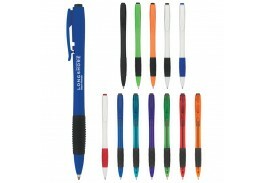 Translucent Blue, Green, Purple, Red, Orange or Light Blue Barrel, all with Black Trim and Rubber Grip.